Fall fashion week 2017 had us PUMPED! We were so in love with the many designers and runway models! 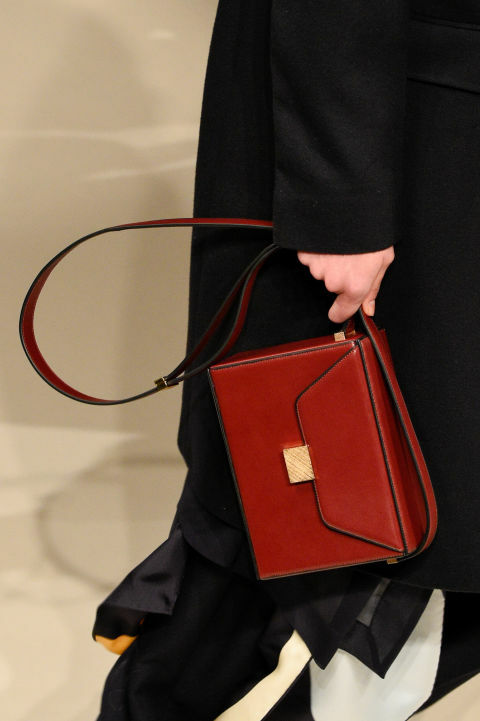 Aside from the amazing garments and swoon worthy heels, did you see the bags? This fall we see trends of clutch, messenger, and bucket bags with a variety of textures from velvet to classic leather. Here are a couple tips on how to style the bucket and small clutch bags that will be for sure be in this fall! As for Bucket bags we recommend this for daily causal attire. Because of the long strap this purse looks perfect alongside flowing pieces such skirts or long cardigans. Small or mini bags are coming back and to style this outfit depending on the bag could be worn for both casual and formal. These small bags however, are perfect accent pieces to your complete outfit when choosing colors such as hot pink or pale baby blue. We are in love with so many of the different collections but, here are a few styles that we found utterly inspiring! First is Victoria Beckham’s design of the modern classic in this alluring fall perfect crimson hue! This style is always perfect for both your Sunday brunch and your Monday thru Friday workweek. Styling this bag can be done easily, such as with a white cotton or silky button up shirt tucked in to those dark denims and even accenting it to your all black attire. Designer Maryam Nassir Zadeh also debuted some new handbags for fall collection explaining that this year she wants to focus on smaller but useful handbags. She included the very on trend smooth velvet to her collection as well! Pairing small velvet handbags can work well several outfits including casual to a very exciting night out. Jason Wu is back this fall using edgy colors such as khaki and black which will be perfect for your knee sliced skinnies an black leather jacket street wear fashion!